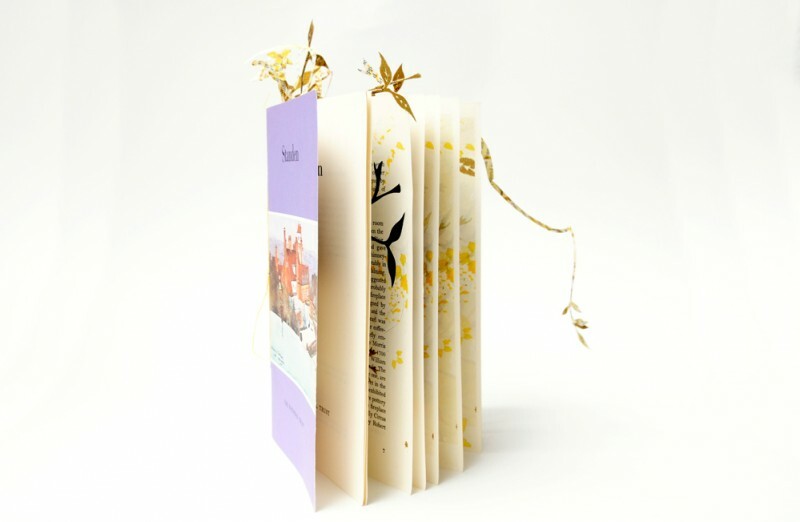 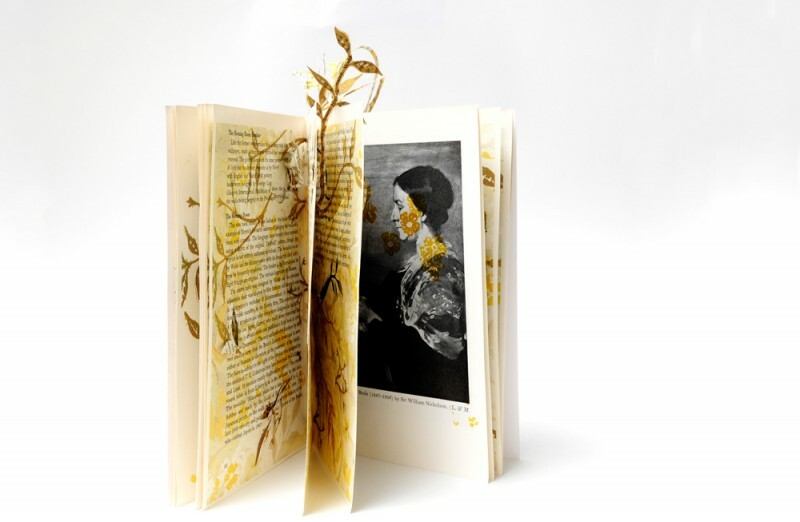 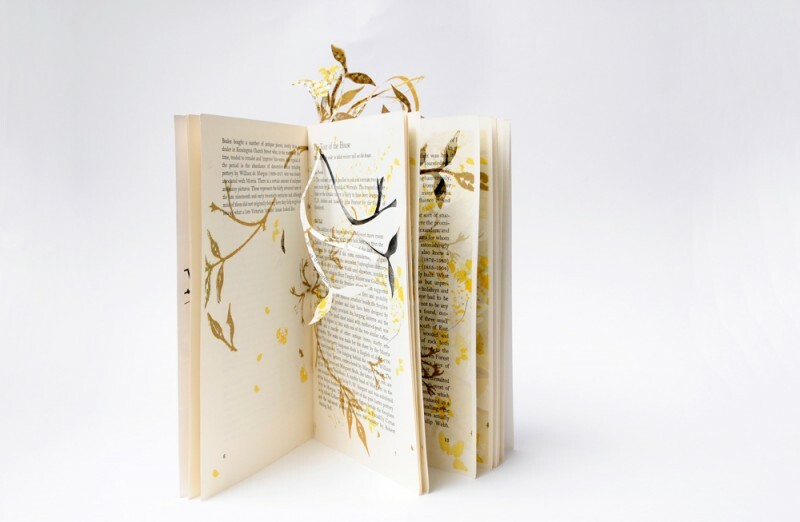 An altered book inspired by the Charlotte Perkins Gilman book, The Yellow Wallpaper, about the mental breakdown of a woman forced into domestic seclusion. 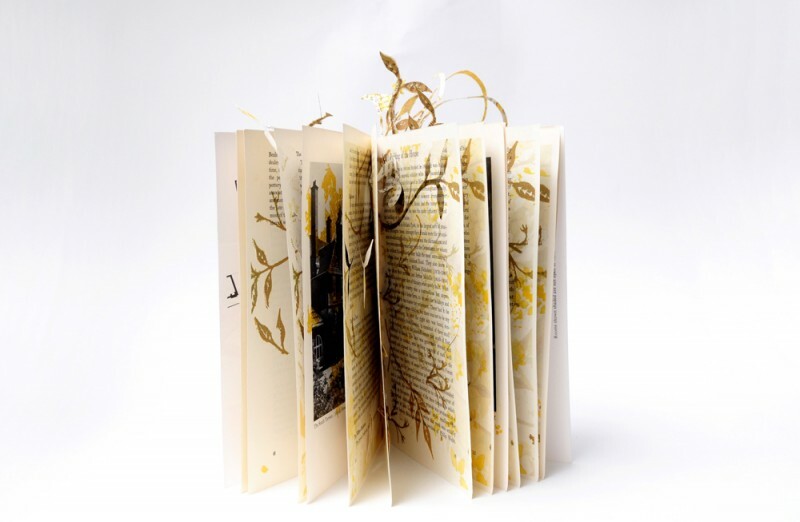 The original book was a 1979 National Trust publication on Standen House, an Arts & Crafts home in Sussex decorated throughout with William Morris wallpapers. 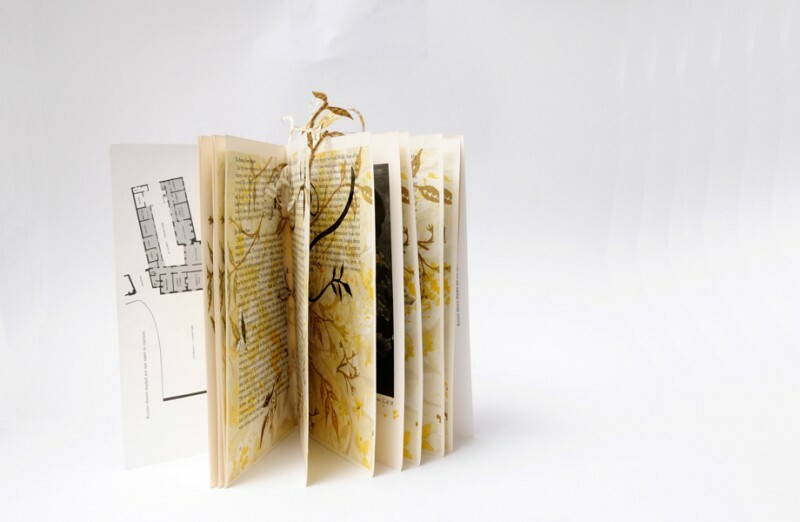 The pages are slowly taken over in prints and form by one of the wallpapers.